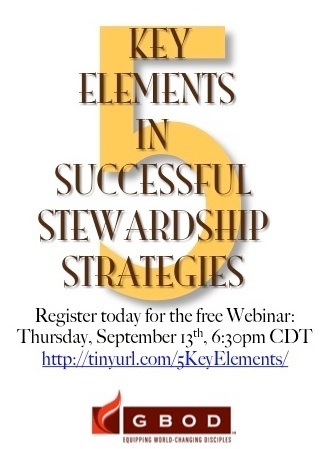 Louisiana Conference: Next Free Stewardship Webinar "5 Key Elements"
Next Free Stewardship Webinar "5 Key Elements"
Five Key Elements in Successful Stewardship Strategies Stewardship in the local church is not a "one size fits all" proposition. There are some elements that consistently present in churches that do stewardship really well. Join us as we explore five important ones!